When designed in a distinct way, facade lighting can be an amazing tool for standing out and perfecting the first impression – whether the building in question is the headquarters of a company or a family home. 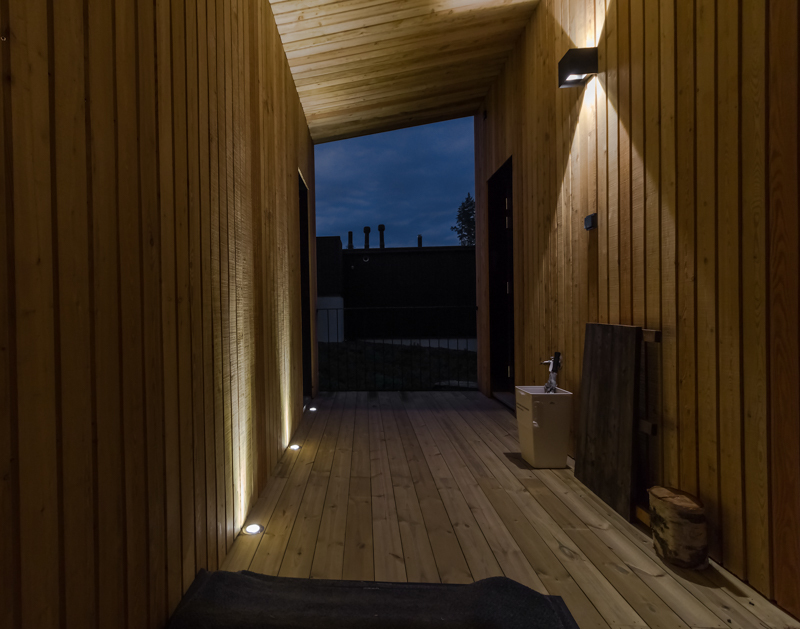 Of course, facade and yard lighting has a role in enhancing safety as well, but the main goal is to emphasize the architecture and wall surfaces. When it comes to facade lighting it goes without saying that the LED lighting fixtures should be designed to be used outdoors: high IP-classes, aluminum casing and e.g. shock proofed glass are factors that ensure the changing conditions pose no problem to the luminaires used. For example, our Hydra wall luminaire is an all-in-one fixture combining all these qualities. In addition to this, one can adjust the two-way light beam as wanted to emphasize wall surfaces and to ensure the light is where it is supposed to be. A shock proofed glass comes in handy especially when used on terraces and e.g. docks. Our Velmu outdoor LED luminaire is a popular fixture used for these purposes but one can also utilize it in the facade lighting – as can be seen from the video above, it sheds a narrow, ornate light beam that is perfect for creating constant entities on buildings with several floors. When designing facade lighting, it is important to not only ensure that it looks good but also that the amount of artificial light is sufficient in comparison to daylight variations. Especially in the North, where the winters are pitch-black and the sun is shining around-the-clock in the middle of the summer, the selection of the control system is a vital part of the design. Most of the luminaires with a dimmable power supply can be attached to a DALI control system. DALI has several qualities supporting the automatization of the lighting, daylight control being one of them. Therefore, e.g. the above-mentioned Hydras and Velmus can be automated to adjust to the changes in the daylight levels with the help of DALI. Especially when it comes to urban environments, it is not a surprise that one cannot just shed light wherever wanted. 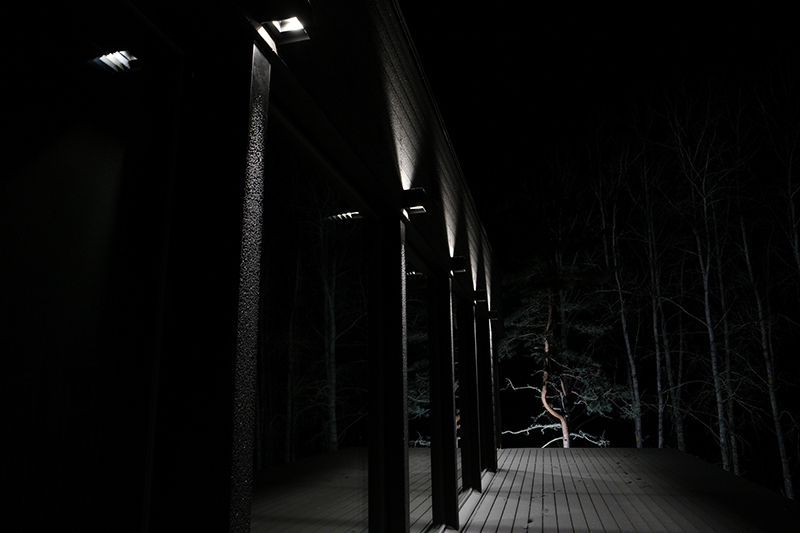 For example, in Finland it is ordained that perpendicular lighting straight to the neighbors' windows is strictly prohibited. 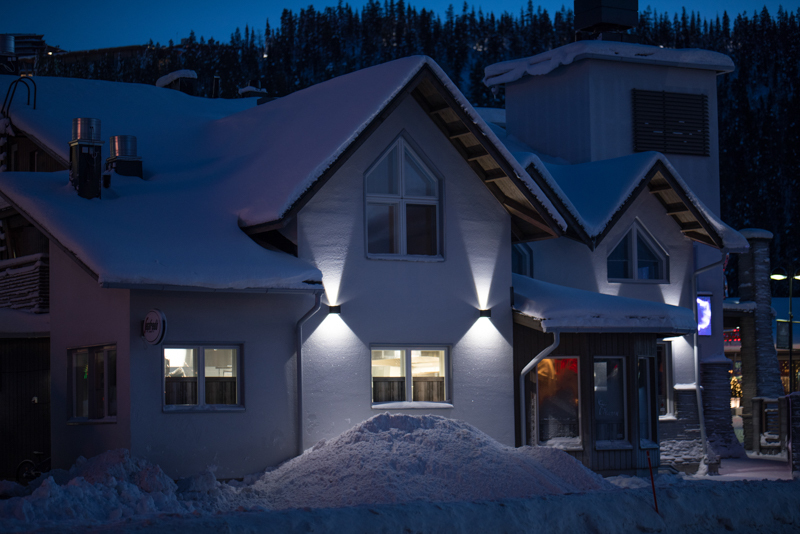 In addition to this, illuminance levels too high might result in undesired light pollution – to avoid this it is advisable to use a professional when designing facade lighting. One might also have to apply for authorization to renew the facade lighting – the restrictions and rules depending on the country's policies. 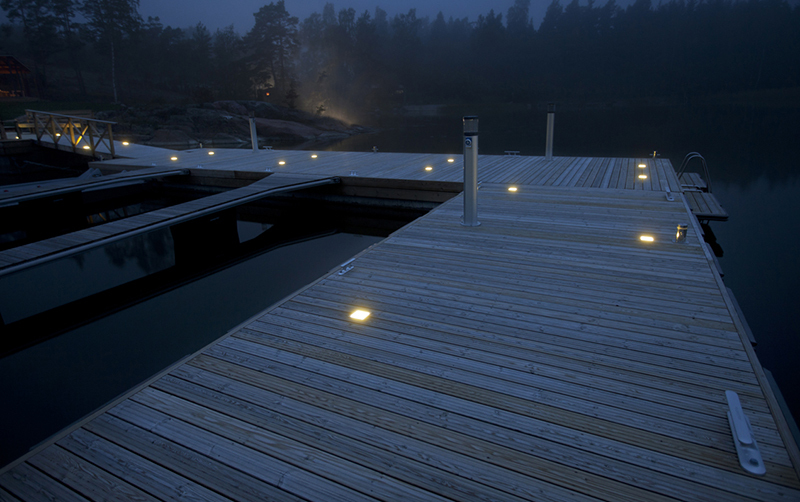 All in all, lighting can be a vital part in invigorating the environment when designed carefully. It can act as a stunning business card for a company; enhance safety and accessibility; emphasize the architecture, and complete the beautiful entity. Our lighting designers and tools provided for design professionals are here to help You with any of the lighting needs You have – do not hesitate to contact us!